We love the benefits of spiders in our gardens—less so in the rest of our home. Clean up a spider infestation and keep them out in the future with these six steps. You can try to focus on the fact that spiders are theoretically beneficial to the home and garden, being that they snack on the other insects that might otherwise go unchecked. But for many, the truth about spiders doesn’t make it any easier to sleep at night, when you know there are spiders under the same roof as your bed. Fortunately, there are many methods for how to get rid of spiders, with methods ranging from the all-natural to the chemical-laden. Though spiders are persevering pests that do not go down without a fight, it’s well worth trying the technique outlined below. With luck, you can get rid of the spiders and save the cost of an exterminator. Vacuum your home from top to bottom. Limit outdoor lighting and remove non-essentials from home perimeter. Place sticky traps indoors to identify problem areas. Administer non-toxic pesticide to problem areas discovered. Seal openings in building envelope. For full instructions on ridding your home of spiders, continue reading below. STEP 1: Vacuum top to bottom. 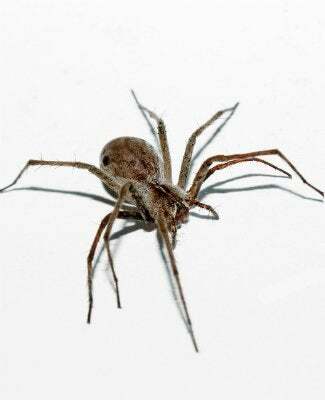 If you’ve spotted any spiders already, their egg sacs are likely lurking in the darkest crevices of your home. First things first, vacuum the entire house, from under the living room sofa to the corners of closets. As you go, eliminate any spider webs—or actual spiders—you come across, before promptly disposing of the vacuum bag. STEP 2: Make your home less inviting. Your next goal is to discourage spiders from entering your house in the first place. You already know that light attracts bugs, and it’s no different with spiders. So it can only help matters to switch off some of your outdoor lighting, or to swap out the regular bulbs for yellow sodium vapor lights. While you’re at it, remove non-essentials from the immediate perimeter of your home. As spiders are attracted to warmth and shelter, things like leaf piles and firewood stacks are best kept at a remove. STEP 3: Use traps to identify problem areas. 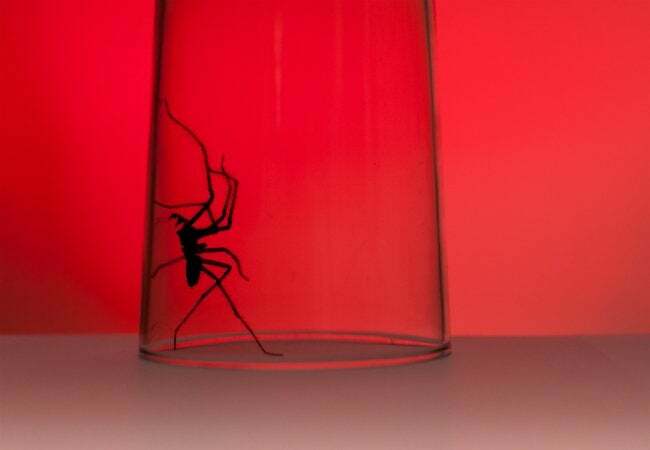 Head back inside and then go about placing dozens of sticky traps throughout your residence. While these squares alone are not likely to eradicate the problem—partly because they do not contain any pesticides—they are laced with a spider-luring aroma. That means, based on which traps end up with the most activity, you can identify which rooms are most vulnerable and proceed accordingly. STEP 4: Administer non-toxic pesticide. The next step is to address the problem area, or areas, with the pesticide of your choice. Nontoxic options are preferable, particularly in homes with pets and children, and many such products are available at your nearest home center. No matter which product you select, expect to apply the solution more than once to get rid of spiders completely, as these pesticides work only upon direct contact. Follow the printed instructions closely. Having administered a pesticide, follow up with a spider repellent. It’s easy to make your own, since many essential oils—including rosemary, lavender, citrus and peppermint—are thought to be effective. Now spritz any area where a spider might potentially enter your home—window frames, for instance, or the gaps around exterior doors. It may take a bit of experimenting to find out what works best. The final step is to seal all openings in your home, whether it’s a crack in the foundation or a drafty window. And because spiders can sneak through small holes, it’s by no means overkill to place mesh screens within vents. So long as there’s a way for spiders to gain entry to the home, you can never truly consider the problem solved. The silver lining here is that, besides warding off spiders, there are many good reasons to seal your home, so it’s well worth the trouble and expense.